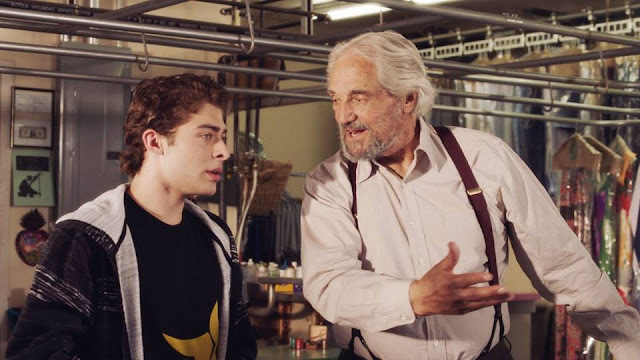 Release Date: October 28, 2011 – U.S.
"We all know William Shakespeare. The most famous author of all time. Writer of 37 plays, 154 sonnets, several epic poems, and why we are here today. But what if I told you Shakespeare never wrote a single word." That statement is uttered in a hushed, conspiratorial tone by a historian (Derek Jacobi, making the most of a small part) giving a lecture to a large audience. That's how "Anonymous" begins, and it's an irresistible hook. But if Shakespeare wasn't holding the quill, then who was? 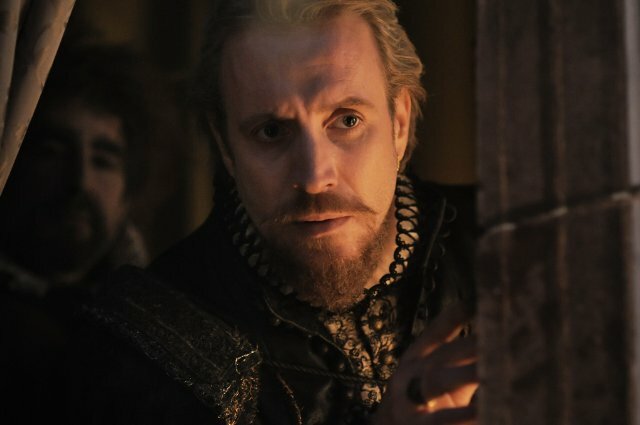 According to the film, the actual author is Edward de Vere, the Earl of Oxford (Rhys Ifans). Supposedly, someone of his high station could not be known as a mere playwright. The thought of a distinguished Royal catering to the lowly groundlings might upset the entire order of the country. After a series of shadowy deals orchestrated by de Vere, the credit ends up going to a drunken, bumbling buffoon named Will Shakespeare (Rafe Spall). The risk is high. Despite such heavy stakes, why does de Vere keep writing? He obviously doesn't need the money or what passes for celebrity in the 1500s. He explains that his characters never stop speaking to him; their voices are stuck inside his head. He wonders if he's gone mad. It's a wonderful observation on the art of storytelling. Any writer can relate. The lead performance by Ifans is quite commanding. He carries the film with his intense portrayal of a tortured artist who can't stop doing what he loves. The sets and costumes are also very impressive. They really bring the England of Shakespeare's time to life. The conspiracy at the heart of the story – what if Shakespeare never really wrote a single word? – is a fascinating one and it definitely will make you think. However, the movie's clownish depiction of the famed playwright is a fatal blunder. If he was in fact such an imbecile, then how could he possibly pull off a hoax that has lasted hundreds of years? It's hard to imagine this version of Shakespeare being able to write his own name, much less hundreds of enduring works of literature. But that's unfortunately only one of the many major problems with "Anonymous." The multi-flashback structure is very convoluted, which unnecessarily complicates the plot and makes it a chore to follow. Ultimately, the movie has some interesting ideas – there's wonderful potential here – but it desperately needs a few rewrites and several edits for the sake of clarity. Because of those deficits, the film's 130 minute running time feels even longer than that. There's also a distinct lack of action – despite what the misleading trailer indicates – but I can forgive that somewhat. As an aside, I have to commend the movie's marketing department for coming up with such memorable taglines: "We've All Been Played" and "The Truth is the Greatest Tragedy of Them All." Brilliant! Even Shakespeare – or was it de Vere? – couldn't have done it better. It's a shame the same cannot be said for what's seen on the screen. "Anonymous" is a pretty ambitious effort, but its flaws are far too numerous to overlook. Because of that, it's likely destined to fade into – you guessed it – anonymity. I suspect there's a great film in here somewhere, but it's still stuck in the editing room.